Have you not getting enough rest in spite of maintaining your sleep schedule? Do you have inexplicable red marks on your body? Do you often wake up at night scratching? If the answer to any or all these questions is YES, then you have a bed bugs problem. Bed bugs are very small creatures that often go unnoticed as they hide well in any seam or cracks. They not only reside on the bed, but any upholstery present in your house also is not safe from them. They nest on any dead skin they can find and feed on human and animal blood. How To Know If You Have Bed Bugs In Your House? You may not always be able to see them until you look for it. Getting allergies and rashes which cannot be explained otherwise may be because you have bed bugs in the house which causes allergies in many people. Once you know there are bugs in your house, try the following methods to arrest the bed bug development. Bed bugs are most commonly found on beds. They can hide inside the structure of the beds as well as on the mattress. It is always best to not bring a used mattress directly into your home. 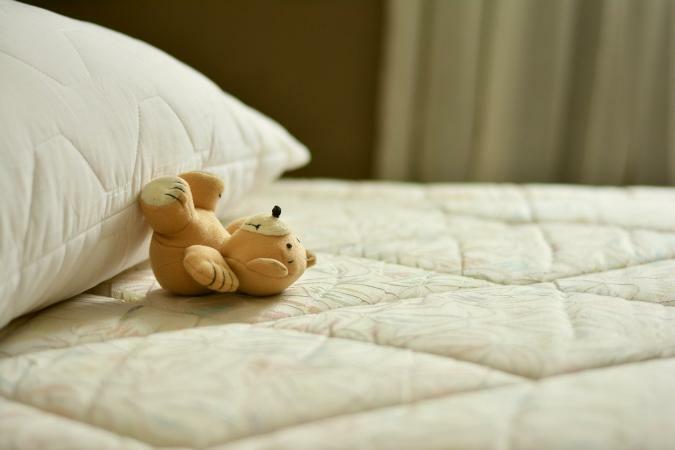 You should inspect a mattress well and then if brownish stains are found, it should get heat treatment. Fluffing the mattress and the pillows also help loosen bed bug grip and clear dust mites. You can then carry out with your inspection. Using mattress protector can also help you prevent bed bugs. Wash the mattress protector as often as required. When you wash a protector, replace the mattress with another protector. Do not use the mattress without the shield. Douglas Burke from CustomBedbug.com advises that you clean mattresses regularly and seal any cracks in the walls of your home to avoid bed bug infestation. Regular inspection of furniture, especially once the visitors leave your home can help you get rid of any potential infestation. Check for bugs on the cushion settings for sofas and other chairs. If you have an ottoman with a wooden or bamboo frame, make sure to check at the joints. On finding a bed bug, you can get rid of it immediately. You can clean furniture with turpentine oil which helps reduce bugs and keeps your wooden furniture last longer. Also remember to check the curtains, if you have too many windows, then going for blinds is a good idea. Getting vinyl blinds will further help you avoid the bed bugs in future. It is much easier to clean them. Our pets travel more than we do on a daily basis and hence their exposure to bed bugs is certainly more. An exploration into the garden’s crevices or holes might lead them to become perfect host to bed bugs. It can lead to bed bugs biting your dogs and cats and making them itchy. The bed bugs would also start moving around and settling down in your home. If relocation is on the cards, gear up for some extra care. Take steps that you do not carry any existing bed bugs from your previous home the new one. Also try to ensure before finally moving in with your stuff, that the new place is bug-free. Avoid using any coverings or blankets from the moving service. Ordinary cleaning may help you get rid of some dust but bed bugs are difficult to tackle. With a vacuum cleaner which has a high suction, getting rid of bed bugs is easier. Identify the surfaces where there might be bed bug infestation, choose a suitable nozzle and a suction level to ensure the best result. However, remember to clean the vacuum cleaner after the process as bed bugs are quite stubborn and do not die easily. If you have a disposable vacuum bag, make sure you discard it properly. While cleaning the carpet or any fabric, take precaution to not damage the object. Bed bugs are expert at clinging on to objects and invading your home through them. It can be very simple commonplace items such as a bag or an umbrella. Even shoes and coats are great mediums for bed bugs to come into your home. Just check where you keep all your belongings in any public place. Leave the item like a coat in a closet by the door. You might have got it stored at a restaurant you visited that evening. Before reusing it wash it. Where you keep such items, vacuum regularly. Lesser the number of things you will have in one place, less will be your chance of getting bed bugs. Once you start to arrange things and organize properly, you will have b able to discard unimportant things and take away hiding places for bed bugs. Use the ant-bugs spray and practice a cleaning schedule. Also, make sure the rooms are well-ventilated. Bed bugs love the damp environment. If you use a common washing machine or laundromat, then make sure you use an anti-germ solution along with your detergent. After the laundry is done, check your garments thoroughly. If you are a frequent traveler, then you must ensure to not bring any bed bugs home with you. The bugs typically latch on to your belongings like coats, hats and suitcases. When you return, make sure to not bring everything inside the house. Clean the suitcase with a sanitizer and put all your clothes in the washing machine. Also, use the heater at maximum. Bed bugs can not survive in high heat settings. Getting rid of harmful bugs is not very easy. If your house already has bed bugs all around, then seek professional help of a pest-exterminator to resolve the problem. After which you can practice several methods to ensure you do not get infested with bed bugs in the future.